Some people who deploy image with WDS encounter a problem: PXE can’t boot client-sides. How to deploy an image by using PXE? 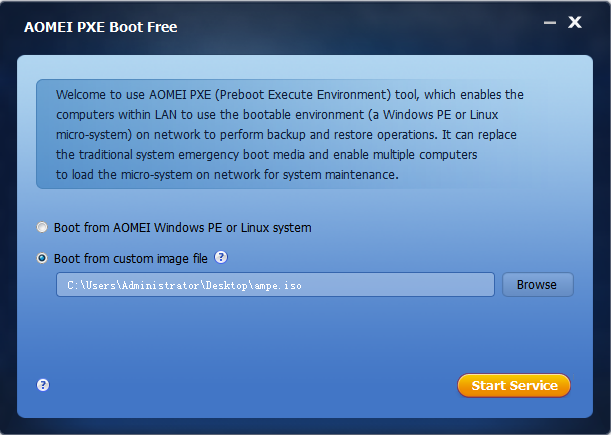 AOMEI PXE Boot Tool will be a good solution, and it can help you deploy an image and boot client-sides. Many people want to install system without USB flash drive or CD/DVD. Usually, they are inclined to deploy Windows with WDS. But some problems always show up when they use it, for example, “image file cannot find” or computer can’t boot with PXE, etc. Computer cannot boot, even don’t mention to install system. How to deploy an image by using PXE? How to deploy a custom image on PXE Clients successfully? AOMEI PXE Boot Tool will be a good answer to all these questions, and it can help you deploy image file and boot PXE clients easily. You can download or create Linux image file. You can use AOMEI PE Builder to create a Win PE image file, which contains many tools, and you can add some portal software to image file and use it to maintain computer. You can create a custom image with other software. In software market, there are many other software such as Bart’s PE that can make a PE, and you can download one of them to create a custom image file. Step 1. You can download and install AOMEI PXE Boot Tool. After launching this tool, as you see, there are two buttons in the interface. “Boot from AOMEI Windows PE or Linux system”: It will lead you to download Linux image file and AOMEI Backupper, and you can use AOMEI Backupper to create bootable image file. “Boot from custom image file”: If you want to deploy custom image and boot client-sides please select this option. Step 2. After you click on “Start Service”, the software will send PXE service to all computers within LAN. Step 3. Set bootable device in client-sides. This step is the important step to deploy an image by using PXE. You have to enter BIOS in client-sides, and set network as the first booting device. 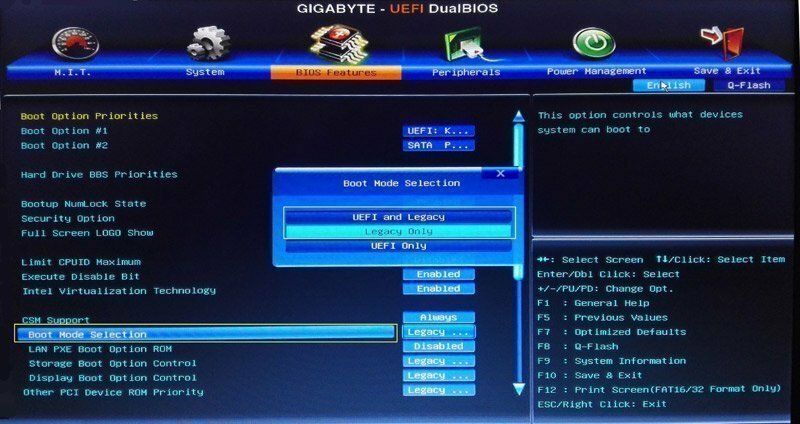 In computer with UEFI, you have to set legacy as the first booting device in Boot Mode Selection, and open LAN PXE boot option. For more information, please visit How to Use AOMEI PXE Boot Tool. After setting, you can save it and exit. Tips: Make sure that all computers are the same network segment. Step 4. AOMEI PXE Boot Tool will detect which computer respond its service, and all client-sides will be deployed an image automatically. If you want to deploy an image by using PXE, AOMEI PXE Boot Tool will do you a favor. With only four steps, it will deploy an image easily for you, and client sides will boot successfully. For better to maintain your computer, you can use AOMEI PE Builder to create an custom image file, besides, you can add other portal software to image file. After booting client-sides, you can use it to maintain computer.